Here is a review of a very impressive LED light from CAME-TV. What stands out about the CAME-TV C700S is the softness of the light that it produces. CAME-TV called this light “Edge” because of its thinness. This is certainly a great feature to have when working in tight spaces. The light runs on AC power and the industry-standard Sony batteries (NP-F or V-Mount), meaning you can easily use it in a studio, and also at a remote location. 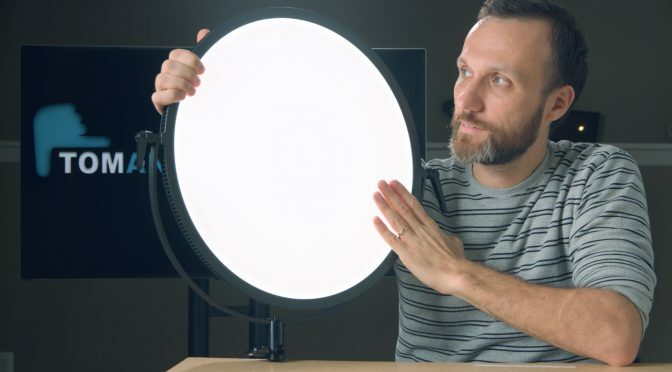 Besides the Bi-Color version that Tom reviewed, the light is also available as Daylight-balanced. Additionally, you can purchase these lights in sets of two or three. CAME-TV LED Edge Lights on BH Photo Video, eBay, CAME-TV website.